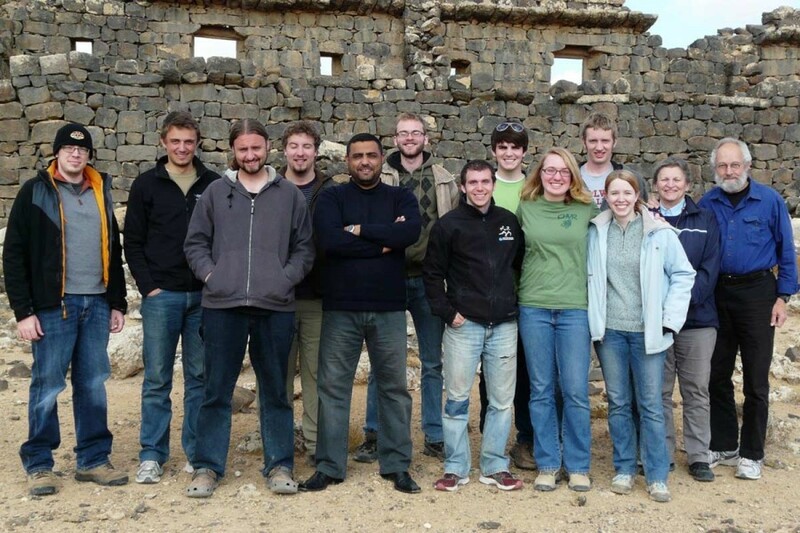 The January 2012 field crew, from left: Paul Christians, Michael Valk, Jeff DeKock, Evan Elliot, Muaffaq Hazza, Jake Ter Haar, Job Christiansen, Josh Betts, Madi Goodman, Keith Van Dusen, Amanda Kok, Sally de Vries, Bert de Vries. 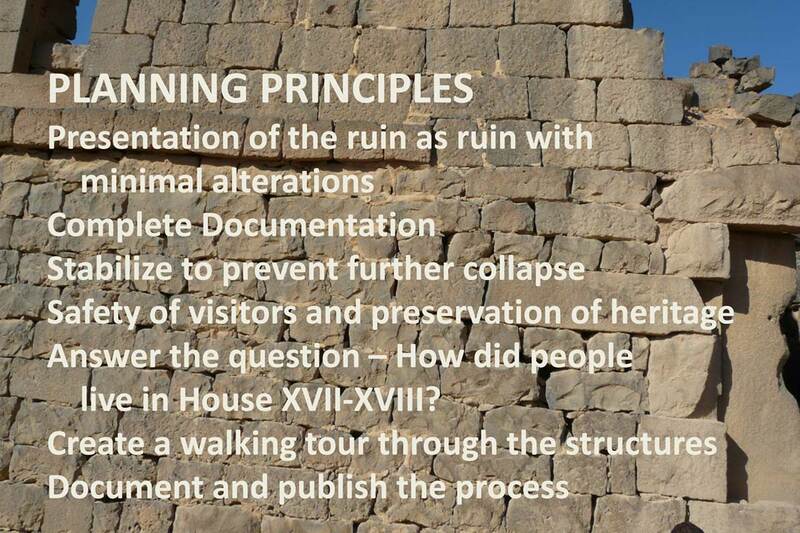 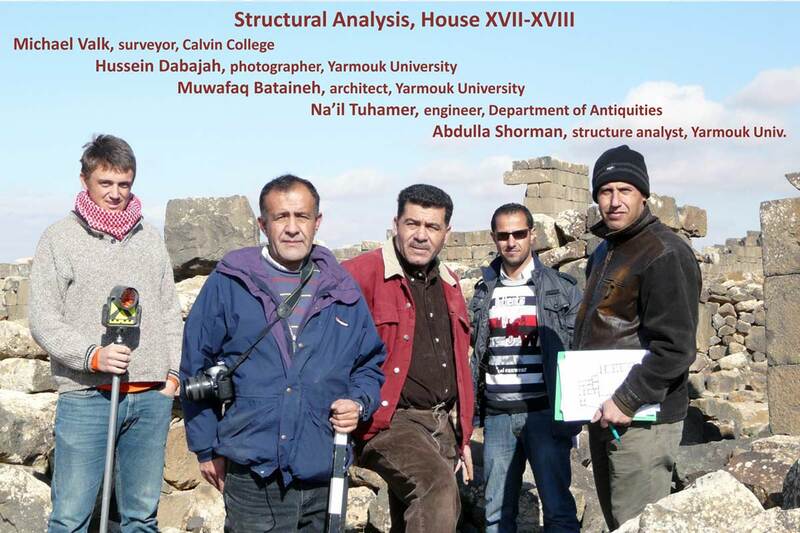 Kicked off as a January-2012 Calvin College field school and funded by the US Department of State’s Ambassador Fund for Cultural Preservation, the project to preserve House XVII-XVIII continues as a field work and publication season from March to the end of June. 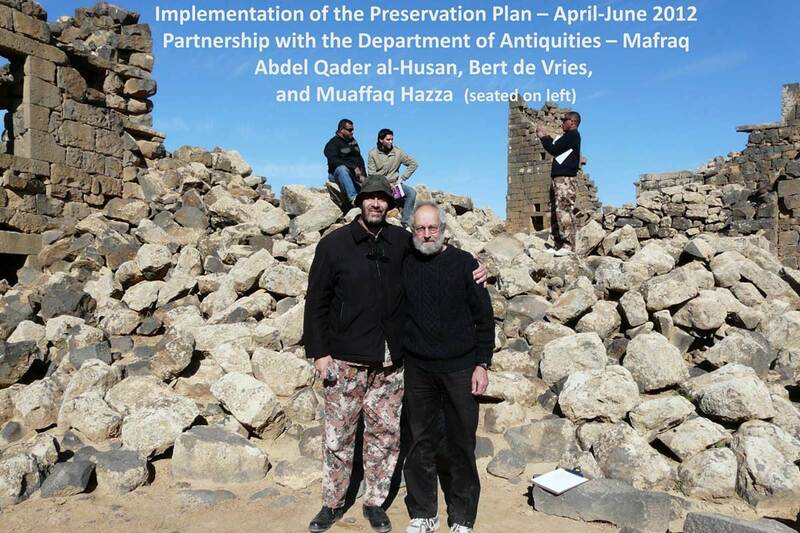 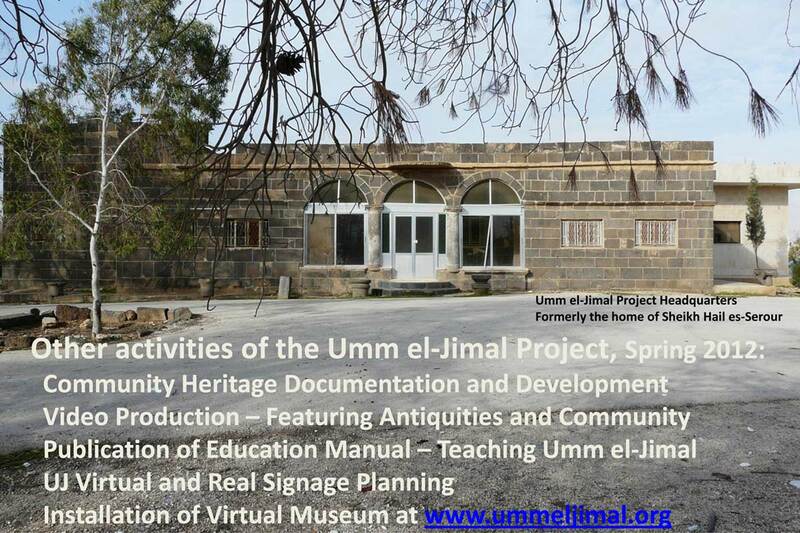 From March 28-May 1 and May 20-June 24 I will be working in partnership with Abdul Qader al-Husan, director of the Mafraq Regional Office of the Department of Antiquities, and Muaffaq Hazza, local UJ Project archaeologist, to carry out the preservation plans prepared during the January Field School. 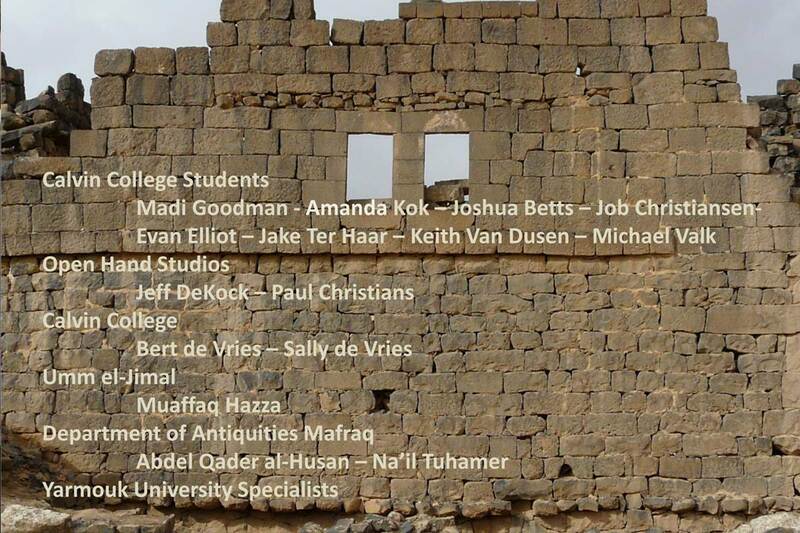 In June the on-site work will conclude with a publication workshop attended by me, Muaffaq Hazza, Paul Christians and Jeff DeKock, both of Open Hand Studios. 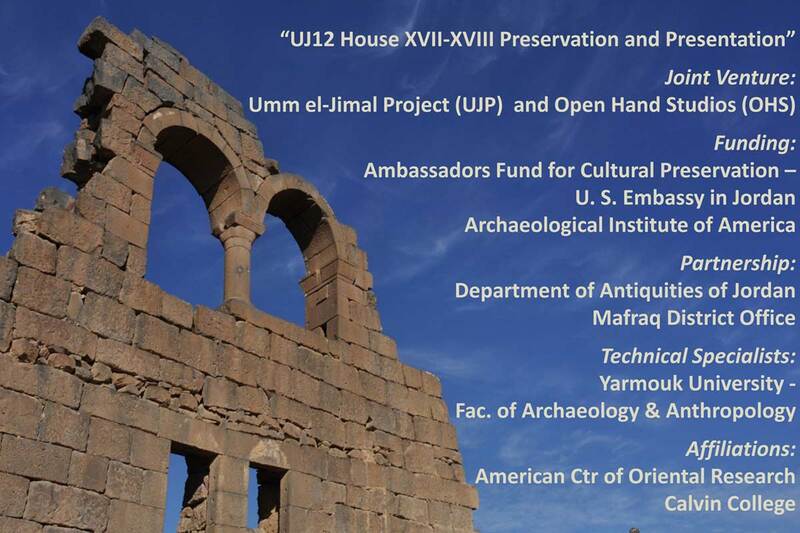 The following images and texts feature the funding and support organizations, the progress of the work, and the plans for its completion from late March to the end of June.